OXMarkets is a Cyprus based binary options broker. With our OXMarkets review, our goal here is to give you all of the information that you need to decide if this broker is right for you and your needs as a trader. Read on to get the full story about OXMarkets and the services that you should expect from them. Who Can Trade at OXMarkets? To trade here, you need to be at least 18 years old. And because OXMarkets is a CySEC regulated broker, you also must be living within the EU when you are executing trades. CySEC has strict regulations and they do not allow those located outside of their territory to use any of their member brokers’ services. What Can You Trade at OXMarkets? Like most other binary options brokers, OXMarkets has a wide array of stocks, indices, currency pairs, and commodities for you to choose from. They are based out of Europe, but in addition to regionally popular stocks, they also offer a wide selection of American, Asian, and Australian stocks and indices to choose from. They have a very large number of assets for you to choose from, which can be overwhelming if you are not sure exactly what you are looking for. Our OXMarkets review team found a large number of assets like this helpful only if you had a narrow personal focus as far as what you would personally want to trade, but you also knew that you wanted to have options if ever you decided to expand your trading base. In this respect, OXMarkets gives their traders a lot of room to grow. They also have a number of pairs available, where you need to choose which asset will outperform the other. These are often closely related assets, such as Barclays vs. Lloyd’s Bank, or are representatives of the same marketplace, like Mazda vs. Toshiba. As far as the types of trades that are available, this broker has the traditional call and put options that you expect from a binary options broker. 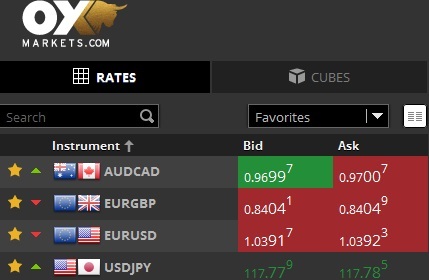 These range from 60 second binary options, up to longer term expiries. 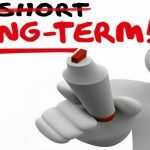 Their long term trades seldom go out more than a week into the future. They also have a few exotic trades available. These include one touch and ladder options. They also have the pair trades that are mentioned above. Their one touch trades come in various high yield forms, offering higher payouts if you are correct in your prediction. In correlation to the higher payouts, these trades are much more difficult to be correct with. 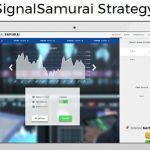 Does OXMarkets Offer Forex Trading? Yes. 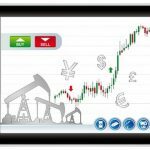 Through the MetaTrader 4 platform, OXMarkets does allow their traders access to the Forex market. You don’t need to download anything extra onto your computer if you want to keep trading just from your desktop computer. 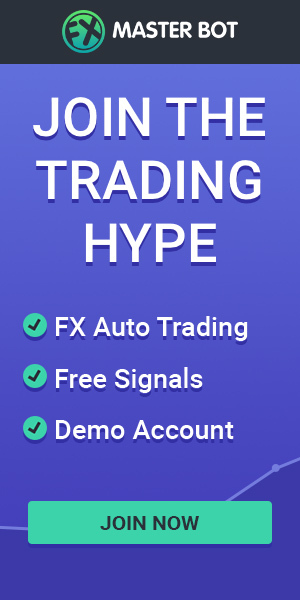 However, they do give you access to the MetaTrader 4 app for Android and iPhones for free, allowing you to execute Forex trades while you are on the go. If you are going to trade while you’re away, just be sure that you have enough research and have done the proper amount of analysis to warrant any positions that you’ve taken out. The Forex market is risky, and when you add leverage into the mix, your losses can multiply very quickly. This concept goes for binary options trading, too. All trading is high risk, and if you aren’t making smart and thoroughly researched decisions, your risk of losing money goes up quite a bit. 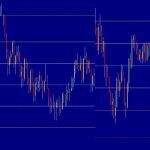 What About Mobile Binary Options Trading? OXMarkets does have mobile trading available. You can do this directly from their mobile website if you don’t want to download anything, but if you use an Android device, they do have an app available for you to download onto your phone or tablet. How Do I Get Started at OXMarkets? First, you need to create an account. Click on the “Registration” button on the OXMarkets homepage, and you will be taken to a screen where you can register for an account. This is free, and you don’t need to fund your account yet if you don’t want to. To create your OXMarkets account, you will need to give your name, your email address, create and verify a password, give your country of residence, supply your phone number, and select a currency. Once you choose a currency, you cannot change it. If you use the euro in your everyday banking, then the euro is your best bet. You can also use the U.S. dollar and the British pound sterling, if you wish. The last step of account creation is to verify that you are a real person by putting in a code and checking a verification box that you are going to follow the site’s rules. Next, you need to fund your account if you wish to trade. Our OX Markets review team found that there were several methods available for funding your account. They accept both Visa and MasterCard, along with Solo, Delta, and Diners as far as credit card payments go, along with wire transfers from your bank. You can also use a handful of e-wallets to fund your account. These include Neteller, Skrill, and WebMoney. 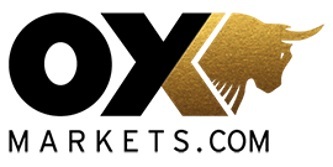 Once OX Markets receives your funds, you can begin trading. With credit cards and e-wallets, this happens instantly, but for wire transfers it can take up to a few days. However, wire transfers are best for larger accounts. Let’s say you’ve made some money trading and you want to withdraw a portion of your account so that you can enjoy the money that you’ve earned. It’s time to make a withdrawal! How do you do this? With OXMarkets, you need to use either a credit card or a wire transfer; we suggest using the same method that you made your deposit with. If you’re going to use your credit card again, the process is pretty simple. You will just need to provide the last four digits of the card and the cardholder’s name. With wire transfers, the process is a bit more in depth. You will need to work closely with your bank to get all of the details that OXMarkets requires in order to safely transfer all of your funds. If you have questions about the banking at OXMarkets, be sure to get in touch with their customer service department. You can get ahold of them by email at [email protected], or by the in-site contact form. They also have several different phone numbers available, depending on where you are located. Check their page to see which is best for you. No OXMarkets review would be complete without letting you know whether or not this broker is going to be helpful to you. 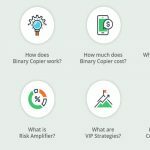 If you are located in the EU and you are looking for a binary options broker with a lot of different features, this broker has a lot of potential. We can’t really let you know whether or not it’s the best one for you as this is something that will vary from person to person, but they are a reputable and strong broker granted that you meet their eligibility requirement. If you’re unsure still, we recommend utilizing their demo account. 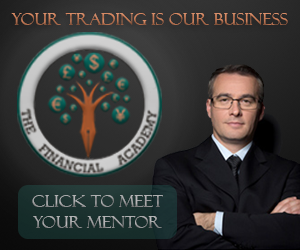 For Micro accounts, you will have access to a free demo trading account for 7 days once it is created. All you need to do to get this is make a minimum deposit of $250—although do not think that you need to ever execute a trade with this. We suggest making your deposit, try the demo account service, and then make a decision afterward. You can always withdraw your money after you’ve tested out the SpotOption platform that they use. Binary options are very risky, and it’s never smart to trade haphazardly. OXMarkets has a strong site, but that doesn’t eliminate the risk that you will adopt when you trade here. Getting practice, improving your own skills, and always keeping risk management in mind will help minimize your chances of losing money.